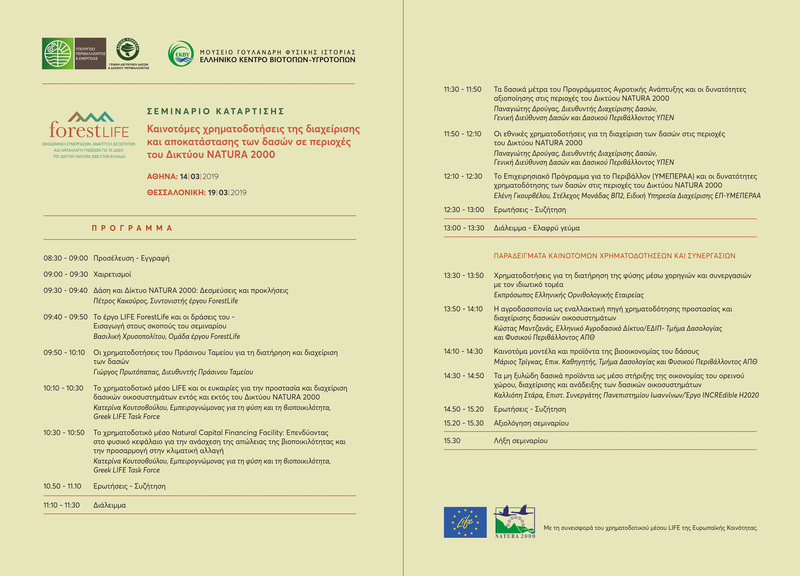 The Directorate General for Forests and Forest Environment, Hellenic Ministry for the Environment and Energy, and The Goulandris Natural History Museum/Greek Biotope/Wetland Centre are holding a seminar entitled “Innovative financing for forest management and restoration in Natura 2000 Network sites”. 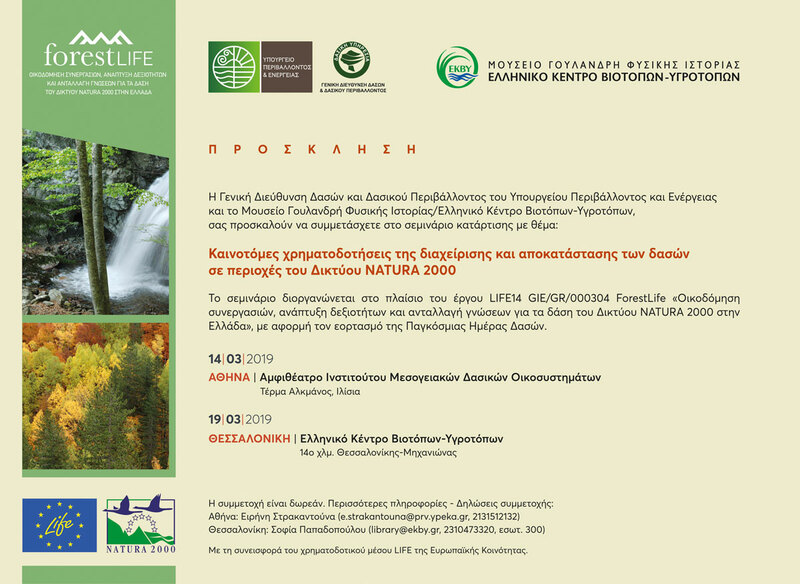 The seminar is organized in the framework of the project LIFE ForestLife “Building cooperation, developing skills and sharing knowledge for Natura 2000 forests in Greece” (LIFE14 project GIE/GR/000304) on the occasion of the World Forest Day 2019. It will be held in Athens on 14 March 2019 and will be resumed in Thessaloniki on 19 March 2019. 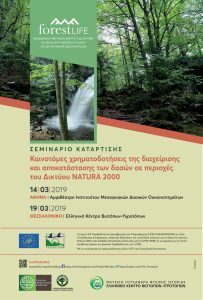 The aim of the seminar is to highlight the possibilities for financing actions for the conservation, managem ent and restoration of forests in Natura 2000 sites. Funding processes for public and private bodies, involved in the forest management, will be presented, relevant operational programs and examples of implementation will be given.